Relatively recently, the Agricultural Revolution brought a drastic shift to a diet based on grains and legumes. The sudden increase in reliably available food gave rise to a population and technology explosion that brought us the Roman Empire, then the Enlightenment, the Industrial Revolution, and all the technological, cultural, and scientific advances of modern civilization. But all this progress came at a cost. From fossil evidence, we know that human health took a sharp downturn with the advent of agriculture. We found ways to minimize the damage by preparing our grains in certain ways, but we still didn’t regain our pre-Agricultural health. Over the past 100 years, we’ve gone from bad to worse, forgetting even those traditional preparations in favor of refined grains, industrially processed seed oil, lab-created fats, and increasingly rapid advances in plant breeding like the genetic changes that brought our unsuspecting guts an entirely new species of wheat in the 1960s. Then came the low-fat dogma: whole foods that have nourished healthy societies for generations are stigmatized, but all kinds of processed corn, wheat, and soy products get the stamp of approval. Never mind that traditional cultures around the globe eat plenty of saturated fat and cholesterol, without a hint of heart disease. 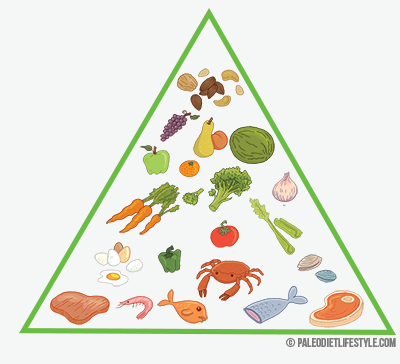 Never mind that those foods are some of the most nutrient-dense choices around. Egg yolks are out; bran flakes are in. Under this barrage of nutrient-poor junk food, our bodies have simply started to break. Obesity rates have soared, and “lifestyle diseases” like diabetes and heart disease are now the rule, not the exception. But there is a way out. 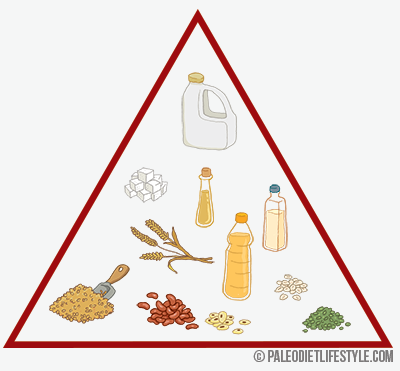 The basic principle of Paleo nutrition is to figure out which of these dietary changes have been harmless (like potatoes, in most cases) and which have been deadly (like the switch to vegetable oils). This isn’t about imitating cavemen. New foods aren’t automatically bad, but evolution gives us a useful framework for tying it all together and making sense of the scientific data. Using our evolutionary history as a guide, we can reclaim our bodies, our health, and our lives. Added sugar (sodas, candies, cakes, fruit juices, …). Some sugar from natural sources like fruits is perfectly fine. Sources of dairy high in protein (casein) and sugar (lactose) and low in healthy butter-fat. You can eat a vast array of vegetables, root and starchy vegetables, meat, poultry, fish, seafood, healthy fats, eggs and fruits. Nuts and seeds are good too, but too much nuts and seeds can be problematic. After your diet is low in toxic foods, high in nutrient-rich foods and is optimized for your personal needs, there are still a few key points to keep in mind. In short, you want to keep a strong immune system, a healthy gut and a body that’s generally really strong against the constant attacks of infections, viruses and detrimental bacteria. Sleep, stress management and exercise are the big three elements, other than diet, that are most important for optimal health.